As you may already know, ZeroConf scripts are bash scripts that ease the installation of a Pharo environment. A funny thing about these ZeroConf scripts is that they are seen as bash scripts by a bash terminal, and as simple and minimal html pages by a web browser. 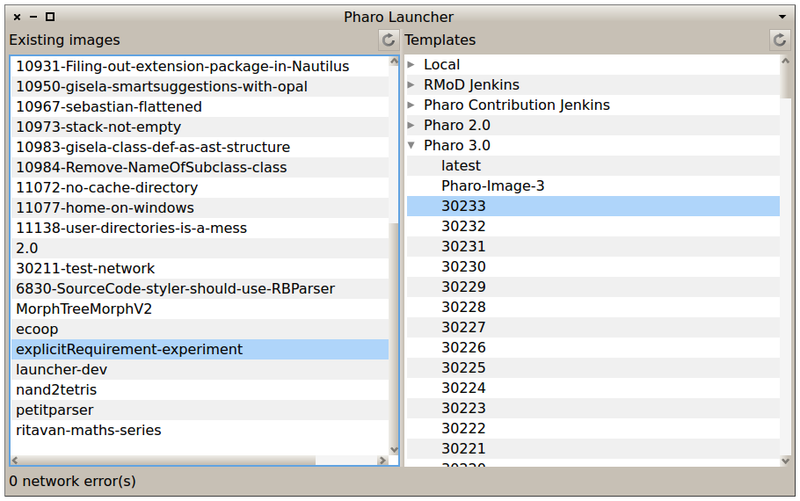 These scripts are extensively used to simplify the configuration of Pharo CI jobs. They allow you to easily download many versions of the Pharo image and VM. As I’m working for my Phd, and have a custom version of my virtual machine and image, and also want to make use of the advantages our CI server provides, I wanted to build my own ZeroConf scripts specialized for my needs. I also heard recently on the pharo mailing list that there was some work on customizing ZeroConf scripts for Moose. So I wanted to do it as well for my project :). This code snippet will install in your image the ZeroConf package for the 1.0 version, containing the script generator, and some tests that are not currently working :). ZeroConfImageScript: Generates scripts in charge of downloading image files. ZeroConfVMScript: Generates scripts in charge of downloading Virtual Machine files (and source files). ZeroConfCombinedScript: Generates scripts that combine several scripts. It will point to its combined scripts and downloading it means to download them all. As you can see in the picture, in order to customize the ZeroConf scripts, you have to create your own subclasses and overriding the correct hooks. A custom image script is defined by a subclass of ZeroConfImageScript. ZeroConfImageScript already defines some image common behavior, such as the release number, which we will use in our script. Finally, I created a convenience method for creating a script corresponding to the 1.0 version of my custom image. and see the generated results in your working directory! A custom vm script is defined by a subclass of ZeroConfVMScript. 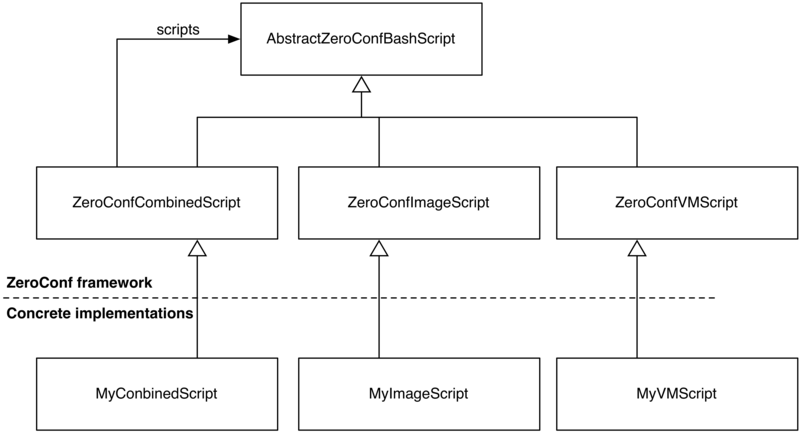 ZeroConfVMScript defines, as its image friend, some vm common behavior, such as the release number and virtual machine type(i.e., if it is a jitted vm or not), which we will use in our script. Finally, I created a convenience method for creating a script corresponding to the 1.0 version of my custom vm. A combined script is the one we use to combine several scripts. It is defined by a subclass of ZeroConfCombinedScript. As you can see, my methods baseUrl and fileBaseUrl are always the same in all scripts. I extracted them into another class later, but keep the code here as is for clarity. As I already showed you, every script understands the message #generate to generate itself. However, we may want to generate many scripts, and combine them. The ZeroConf infrastructure already provides for that the ZeroConfCommandLineHandler. The ZeroConfCommandLineHandler is a command line handler that knows which are the scripts we want to generate, combines them appropriately and generates them. So we will subclass from ZeroConfCommandLineHandler and specialize it to fulfill our needs. Finally, if you have all this code in your image, you can just activate it through the command line thanks to the command line handler! And look at the results. Upload your files, archive them, and use them :). This entry was posted in Pharo, Software Engineering and tagged bash, bash scripts, Pharo, Smalltalk, zeroconf on July 30, 2013 by Guille Polito.